The second release in as many years from the former super-Mod, punkish-rocker, Weller, finds him again on top form, with 14 tracks that bear all the hallmarks of his laid-back, vocal style and love, if not lust, for a stirring melody. At times, lush orchestration splashes to the surface while his lyricism remains ever-powerful and engaging. If anything, on this showing, Weller himself appears to be in a happy place, with an assurance, a confidence in himself, and lyrics that never dwell on troubles or uncertainty. Following on from his last offering A Kind Revolution, an album that was both surprising and delightful in pretty much equal measure, True Meanings has a more ordered, thoughtful, introspective feel to it. It is as if Weller sat back for a bit, relaxed and self-contented with his guitar, cooked up some new material that echoes his own mindset. I’ve been mighty impressed by both of his latest offerings: each has held a positive sparkle, a design and delight that simply shines and shouts out. With Weller seemingly on a roll – and in an optimistic frame of mind here – it’s a pleasure to find that the guy still has plenty to say, with a lyrical strength and an evident ability to craft a great song at his fingertips, pretty much at will. 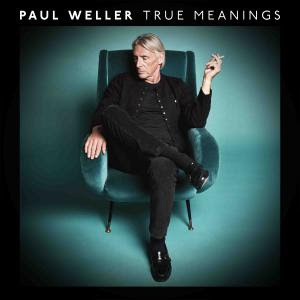 True Meanings can only add to Weller’s rich catalogue that now stretches back over many decades and this album will easily please the legion of fans who still look forward to each and every release.